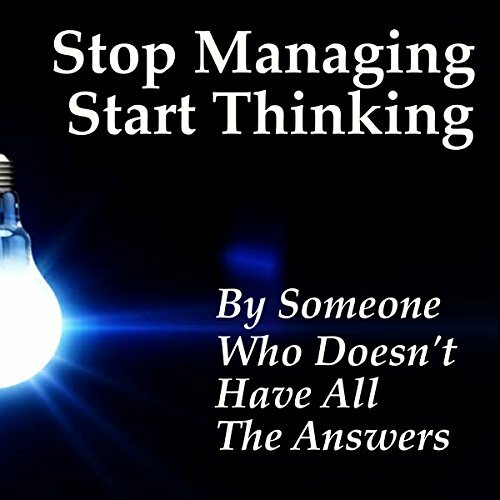 Showing results by author "Someone Who Doesn't Have All The Answers"
Stop Managing Start Thinking delivers a vault's worth of disruption. It skewers the "friendly fascism" of corporate culture. It confronts the dis-economies of scale directly; and it challenges fallacies of all kinds, from deadlines to multitasking. With clarity and pragmatism, this anonymous author dares you to abandon the fog of orthodoxy and dares you to drag yourself out of the vortex of inefficiency.